Loot is a hilarious story of four extremely unskilled crooks that are out to steal some jewels from Bangkok. Notorious for their inefficiency; Pandit, Akbar, Builder and Wilson are definitely in for more trouble than what they preempt. 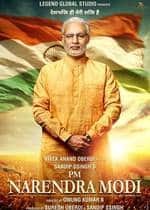 Till date there have been many Hollywood remakes and few can be tagged as good watch but actor producer Suneil Shetty tried his hands on this idea and created a disaster. Loot is a total copy of Hollywood flick Crime Spree, which was well appreciated crime comedy. Though Loot is a scene-by-scene remake of Crime Spree but still it is neither enjoyable nor admirable. Suneil Shettys idea of simply copying a Hollywood movie and presenting it onscreen is a complete waste. Film-makers frankly would have put in lot of efforts to spoil such an appealing storyline to give us Loot. 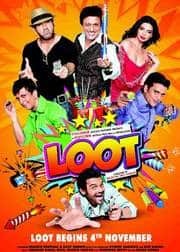 Bland dialogues, poor performances, dull direction, bad editing and horrible camerawork is what Loot is all about. By making a crime thriller and keeping Mahesh Manjrekar in it will not result in the making of Kaante. The extent of copy-pasting is that director Rajnish Thakur did not even change sites and backgrounds; it is absolutely same as we saw in Crime Spree. 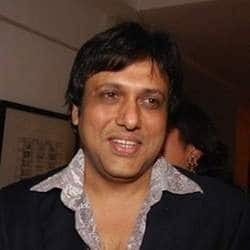 Casting Director needs some lessons as he didnt know that Govinda & Javed Jafri are known for their comic timings and not Suneil Shettey. No doubt Crime Spree was also inspired by Hollywood block-buster Lock Stock and Two Smoking Barrels but it did keep its original essence alive. Dont know if Suneil Shetty was trying to pay homage to Crime Spree but seriously it looked like some zero effort movie. I have personally been to Thailand couple of times but I never felt that it is as miserable as what I saw in Loot. Honestly, Thailand tourism will ban Bollywood Shoots after watching Suneil Shettys Loot. Owing to miscast in the film no one performed to their best and leaves audience questioning that why was this movie made? After certain point of time it just becomes unbearable and you will actually feel like leaving the theatre. 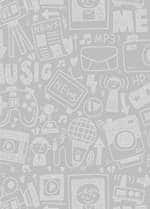 Footer: They totally ransacked the real fun of watching a criminal thriller. Loot is a senseless and awful attempt!